Windermere Real Estate recently hired Pixel Dust to create the video announcing the new, exciting partnership as the Official Real Estate Company of the Seahawks! BEST BUY recently hired Pixel Dust to go behind the scenes at their Seattle Corporate offices to film the GEEK SQUAD in action. They broke out their NERF guns and we had inter-office war for the special occasion! It was great! “We have the best job” said Dylan Mander, Pixel Dust’s Videographer and Editor, after the epic shoot. Unfortunately per our contract we can’t share the footage but here are some fun behind the scenes pics. Prior to your first meeting with your potential officiant, you and your fiancé should make sure you’re on the same page about the mood and feel of your ceremony . Will it be traditional or modern? Religious or secular? How long would you like it to be? Share these thoughts with each candidate and then you can start narrowing down your search. Make sure your state and county recognize your officiant as someone who is authorized to perform the ceremony. Officiants who have professional listings on the major wedding directories, such as WeddingWire post reviews. Don’t just look only at the number of reviews though, read what the couples wrote because, ultimately, that’s what’s most important. 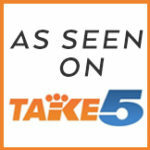 Also check out their work- many Officiant’s have samples of ceremonies and other clips online. Here is an example of Annemarie Juhlian’s website video. 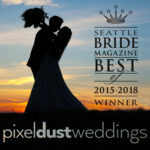 Annemarie is one of many Seattle based officiant’s we’ve worked with and LOVE! When looking for an officiant ask your vendors who they would recommend. They work with all different vendors each weekend and will know who would be a potentially good fit for you. Here’s a link to our preferred vendors.